Who'd have thought such an obscure title would be making this type of reappearance? Max Laughton is a mental patient in Sanitarium who has recovered from a horrible car crash that has not only erased his memory, but his identity. As you slowly piece together clues, you'll slowly find yourself questioning what's real and imaginary. The game's startlingly creepy atmosphere is worth the purchase price alone. Grotesque visions, dreamlike sequences, and a chilling narrative make Sanitarium one worth your time. 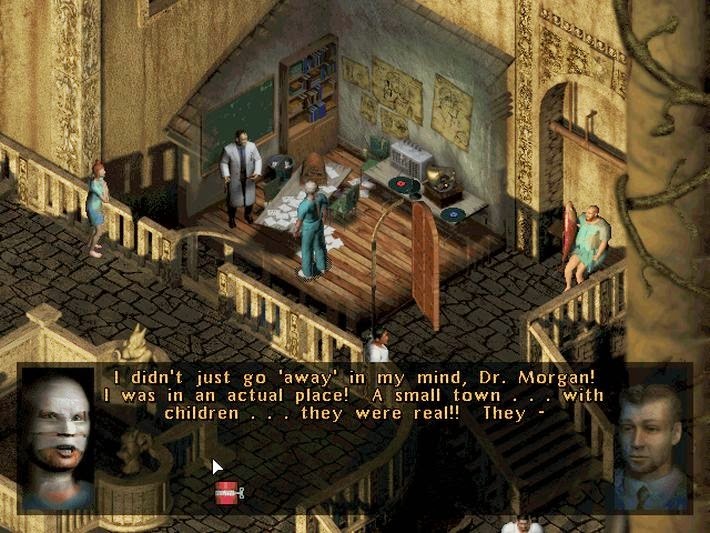 Sanitarium was overlooked when it first released as a PC point-and-click adventure game, but that doesn't at all mean it's not worthy of playing through. Now that it's been reborn as an iOS title, you'll definitely want to give it a try. DotEmu has really knocked the port ot of the park, and if you missed it the first time around you owe it to yourself to go ahead and get started on this version so you don't get left behind.